More than 7 years in the making and inspired by Ben Jonson’s ‘The Masque of Blackness’, Epoh Beech’s animated film will be screened at Gallery 46 in East London alongside an extensive series of drawings. 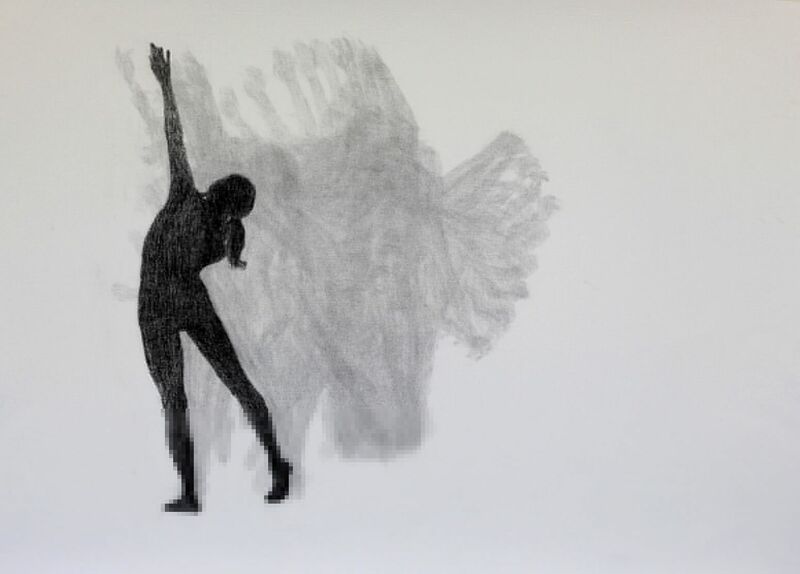 Collaborators on the 12 minute animated film include; film editor Matthew Thomas; Danish musician Esben Tjalve who has composed a unique soundtrack; and Julia Gillespie, a former ballet dancer with Rambert Dance Company. The exhibition will also feature 3D paper maquettes made by Duncan Mude. An exhibition of sculptures from West Africa ‘Kingdom of Life’ at the British Museum in 2010 was the initial trigger for the exhibition, which has come to fruition in 2018. Beech was moved by the refined sculptures from Ife, which is regarded today as the spiritual heartland of Nigeria’s Yoruba people. According to Nigerian mythology, Ife was the centre of creation of mankind and the world, and art historians consider it as the birthplace of some of the most accomplished African art. After seeing the British Museum exhibition, Beech read Ben Jonson’s ‘The Masque of Blackness’, a mythological Jacobean play featuring the God of the river Niger in conversation with the Moon and the Ocean. She was also inspired by Francis Beaumont’s Jacobean novel the “Marriage of the Thames and Rhine”, and Joseph Conrad’s 19th Century novella about the Congo River, “Heart of Darkness”. She began to explore the relationship between Africa and Germany (the Niger and Rhine rivers), and embarked upon a 7-year journey of research including a field trip to sketch mangroves in Ghana, and an arts residency in The Netherlands (North Rhine – Westphalia), in an old watchtower by the Rhine on the Dutch / German border, where she spent 3 weeks looking at the river, eventually culminating in the Gallery 46 solo exhibition. Other artist residencies include a month in Berlin in 2006, and the ‘Telpost Millingen aan de Rijn’ Residency by the Rhine on the Dutch /German boarder in 2014. Such is Beech’s obsession with studying the Rhine’s history and documenting it through her art, she has been walking the length of the Rhine from the source on and off since 2004. ‘The Masque of Blackness’ exhibition examines the geographical, historical and cultural relationship between the Thames and the Rhine, and between West Africa, England and Germany, with a vast series of sketches and drawings recurring motifs such as Shells, Hermes the Seal, Pegasus, Oil Rigs and water nymphs. These motifs appear in the final animated film and act as symbols of the imagination travelling freely. Central characters featured in the animation and drawings include Hermes, represented in the form of a grey seal, and Pegasus the mythological horse representing justice, wisdom and acting as a muse to the poets, unhindered by the straightjacket of history and time. Pegasus and Hermes the Seal featured in Beech’s 2010 solo exhibition ‘The Marriage of the Thames and the Rhine’ at the Gallery in Redchurch Street, and ‘The Masque of Blackness’ acts as a sequel. 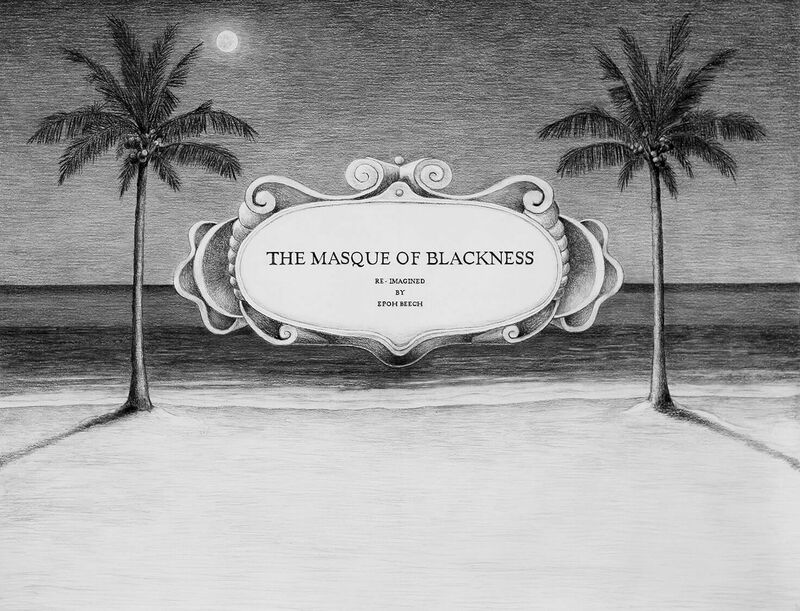 In 1605 ‘The Masque of Blackness’ was performed as a pageant on the River Thames opposite the Shell Building (Royal Dutch Shell Company has been drilling for oil in the Niger Delta, Nigeria since 1956). Beech’s devotion to her subject meant that she contacted Julia Gillespie at the Ballet Rambert, who posed for her as Oya, the Yoruba Goddess of the Niger coming out of the shell. There are several sizes of drawings featured in the exhibition, with the largest of London imagined from 1605 to 2016. Oya is a recurring figure in Beech’s animation and supporting drawings, a psychopomp who guided souls to the place of the dead, who in mythology would act as a spiritual guide of a living person’s soul through water to paradise. Joseph Conrad’s Novella ‘Heart of Darkness’ was published more than a century ago yet it continues to inspire artists, writers and musicians to this day as a defining work of literature, and Epoh Beech is one of them. ‘Heart of Darkness’ takes place one evening on a boat on the River Thames, explores one man’s search for another, and was inspired by the author’s violent experience of colonialism in the Congo. One of the characters featured in Beech’s animation is a binocular-wielding man, inspired by the anonymous narrator on board ‘The Nellie’ in ‘Heart of Darkness’. Africa and son of Oceanus). Niger explains to Oceanus that his daughters are Ethiopian water nymphs, who changed the course of the river Niger at their request. The stage set, costumes and stage effects for ‘The Masque of Blackness’ were designed by Inigo Jones, who also designed the Queen’s House in Greenwich for James I‘s wife Queen Anne. 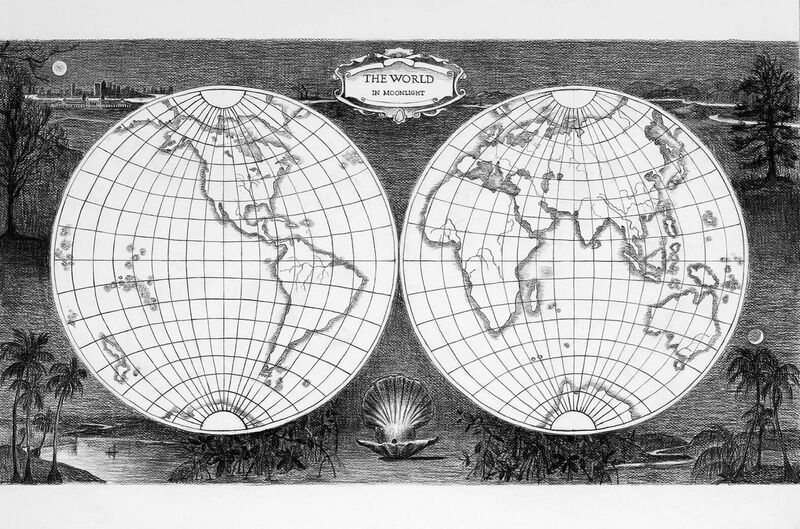 In the early 17th Century when the Masque was written, the European discovery of the New World and global expansion into Africa was a very recent phenomenon. The term masque refers to a specific type of play combining song, dance, poetry and elaborate staging and costumes, which were written predominately in the early part of the 17th century. Masques were performed for Royalty and the upper echelons of English society on special occasions like holidays or days of state, and only for the very upper level of English society, mainly the King and the court. Through the drawings and animation, Epoh Beech reimagines and weaves together the literary works of ‘The Masque of Blackness’ (1605) where the Niger River is protagonist, and Joseph Conrad’s journey up the Congo in ‘Heart of Darkness’ (1899). The exhibition examines the relationship Thames and West African rivers, in particular the Niger, Congo, Volta and Ankobra rivers. 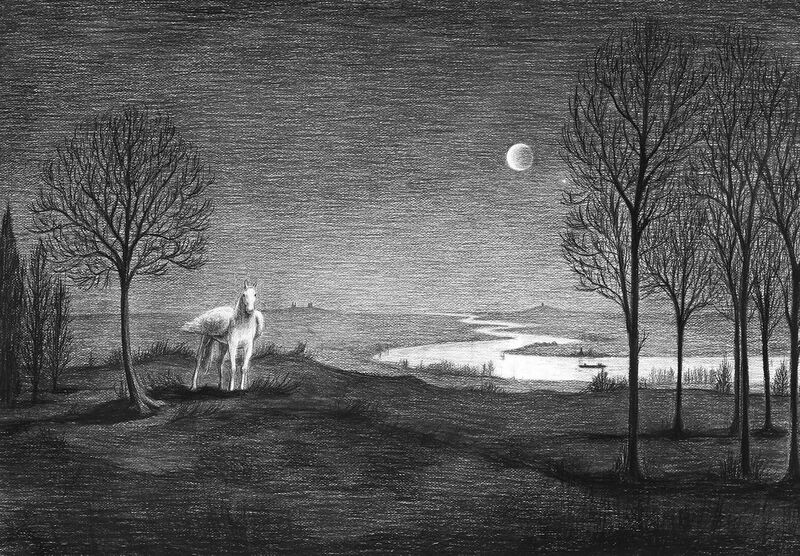 The artist has spent many days walking and drawing by the banks of these rivers, both physically and in her imagination. ‘Heart of Darkness’ is narrated at dusk, by an anonymous narrator, who is a crew member on board a boat (yawl) called ‘The Nellie’. This yawl is moored at Gravesend on the Thames at dusk. There is a link between the Thames and West African rivers and the imagination as a metaphor for unexplored territory, the unknown. Conrad’s use of frame narrative (story within a story) in ‘Heart of Darkness’ is also used in Epoh Beech’s animation. Epoh Beech studied Fine Art in Florence and at the Cheltenham Art School and Chelsea College of Art, before being awarded an MA from the University of Hertfordshire. She is based in West London with her studio at ACAVA (Association for Cultural Advancement). The new exhibition features an animated film and a selection of drawings curated by Lee Sharrock from a vast catalogue of drawings and preparatory sketches. This meditative practice and attention to detail is the evolution of drawing skills the young 17 year old Epoh honed in Florence when she was studying drawing and the students would study the same life drawing pose for 2 weeks, a seminal part of her artistic training which equipped her with finely tuned observational skills. From an early age Epoh was obsessed with drawing, and the power of the image had an impact on her even more during her time studying at the Studio Simi in Florence. She was inspired by Augustus John’s drawing of Lawrence of Arabia and iconic Italian art such as the basilica of St. Francis of Assisi with Giotto’s painting featuring gold stars on a vibrant Turquoise ceiling.